The girls had a couple of days where they were allowed to wear "holiday colours" to school. After trawling through their wardrobe, I realised that they don't have any clothes in holiday colours. 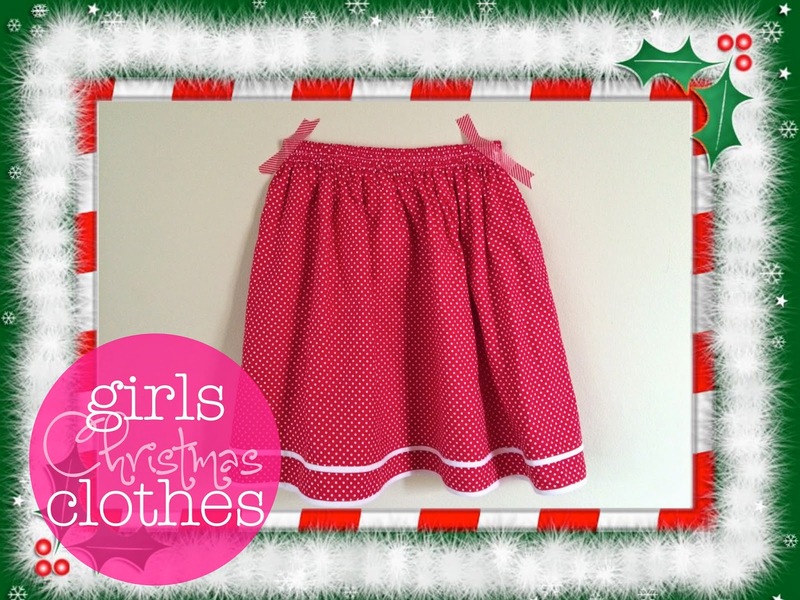 I decided that the easiest thing would be to make them some 30 Minute Skirts in Christmas colours. 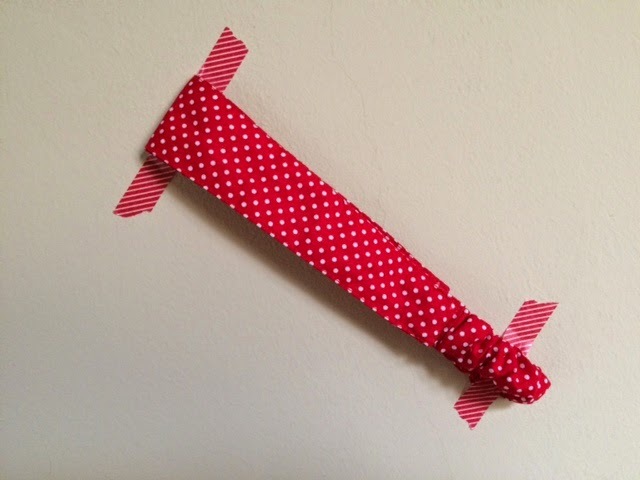 I found some lovely red and white mini polkadot fabric at Spotlight (Plaza Singapura, Orchard Road, Singapore), as well as some white bias tape and wide elastic. You can read about how these skirts are constructed in my original 30 Minute Skirt tutorial. They are as easy as the name suggests, and I can easily make one in 30 minutes. 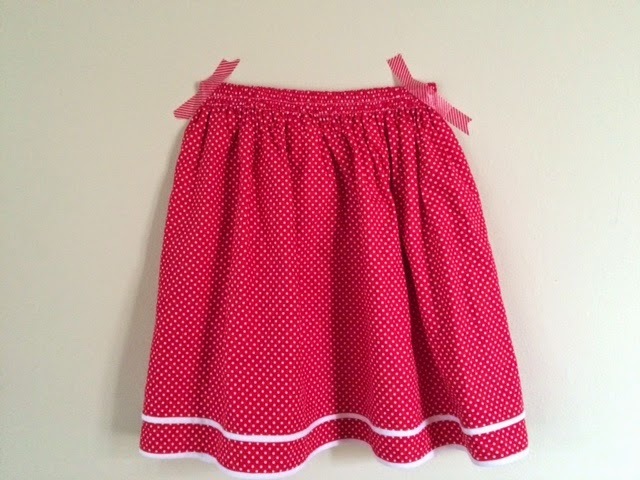 The finished skirts and headbands were worn to school a couple of times, and again at home a couple more.